Personal information is information about an individual. This could be the person's name, address, workplace, marital status, phone number, e-mail address etc. Information about your contact, reason for contact, and form of contact with Kinsarvik Camping, can also be seen as personal information. Sensitive personal information is neither collected, nor used by Kinsarvik Camping. These are personal data such as criminal offences, crimes committed, health related issues, and similar. Kinsarvik Camping’s own Office Manager is responsible for the business' handling of personal information. In the event of delegation in the future, it is solely the delegation of work related tasks that occur. The responsibility for any personal information is always carried by Kinsarvik Camping. Kinsarvik Camping has two (2) sources of personal information, which both have basis in § 8 of the law of personal information ("personopplysningsloven"). The main source of personal information, is information that you yourself provide. This happens primarily through the contact form on Kinsarvik Camping’s website. 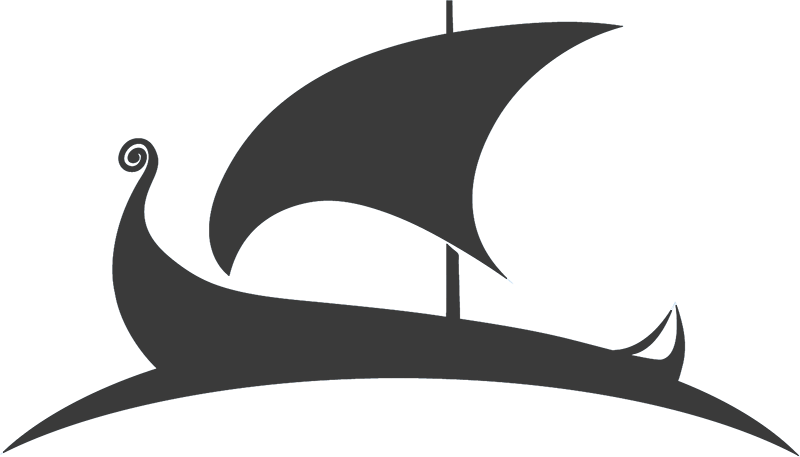 The contact form functions as the meeting point between potential/existing customers and Kinsarvik Camping. It is entirely voluntary if you wish to fill out such a form, or to remain a passive visitor on the site. Personal information that is collected via the contact form is phone number, e-mail, and name. After use of the contact form, additional personal information may be generated through e-mail, phone and similar correspondence between Kinsarvik Camping and you as a potential/existing customer. The second source of personal information, is information that Kinsarvik Camping itself collects. This collection happens through the use of Google Analytics. The information that is collected is how long you stay on the site, your IP-address, which links you click, and how many users there are on the site at any given time, to name some. The purpose of the contact form and following correspondence, is to follow up requests and duties to the customer. Kinsarvik Camping is dependent on an open platform as such between itself and the customer, in order to ensure satisfactory communication and end product. The legal foundation for Kinsarvik Camping’s handling of personal information, is § 11 of the law of personal information ("personopplysningsloven"). The limited amount of personal information Kinsarvik Camping collects via you, and on their own initiative is, compared to other entities and web services, very marginal. This means that administration on the potential/existing customer's part in regards to their personal information, such as their use in apps, and settings for personalised ads, is not applicable. The personal information that is collected is, as mentioned, not used for any such purposes. 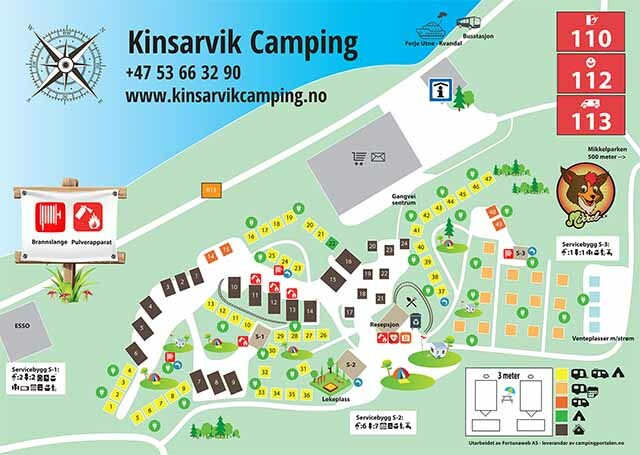 Kinsarvik Camping does not share any personal information from the contact form, collections or information from others with any third party. If such sharing were still to occur, you will always receive a consent request from us. In league with the law of personal information ("personopplysningsloven") § 13, all personal information received by Kinsarvik Camping will be archived on either a secure e-mail or server for the duration of the work relationship between you and Kinsarvik Camping. Upon termination of work relationship, all communication and personal information will be deleted within two (2) years. Kinsarvik Camping maintains internal control for such archival, security and deletion. These procedures are all carried out in compliance with legal standards. Due to the law of personal information ("Personopplysningsloven"), you the user or customer of Kinsarvik Camping, have a right to be forgotten, the right to data portability, the right to insight, and the right not to be profiled. The right to be forgotten, means that any and all personal information registered with Kinsarvik Camping can be requested to be deleted. If this is not requested, Kinsarvik Camping will still delete most personal information two years after end of contract. The right to data portability means that you may receive a digital copy of all personal information Kinsarvik Camping has of you. This right also includes that you can bring this personal information to another business if it is technically possible, and defensible. Personal information that is covered by data portability is personal information given to Kinsarvik Camping, like through the contact form, or automated personal information generated through use of Kinsarvik Camping's services. The right to insight means that you have the right to see what information Kinsarvik Camping has registered on you. The Right against profiling gives you the right to refuse Kinsarvik Camping to map your usage and pattern, and as such tailor our services to you based on this mapping. Typical examples would be personalised ads, service development, marketing surveys etc. This is however for the most part not applicable to Kinsarvik Camping, as Kinsarvik Camping has very little interest in or need for such width and depth mapping. Kinsarvik Camping has no wish or need to collect or handle personal information about children under the age of sixteen (16). Personal information of such nature must come through a legal guardian. Any personal information left behind by children with Kinsarvik Camping will be deleted as soon as it is discovered. Kinsarvik Camping does not have a delegated ombudsman for matters of privacy and personal information, as the company is not a public business, does not handle sensitive personal data, does not carry out systematic mapping of individuals, and does not handle personal information regarding criminal offences.